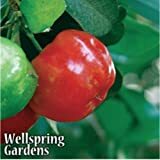 Acerola seeds – Is it recommended to buy Acerola seeds or better to start with plant? Is it difficult to grow Acerola from seeds? When the season to sow? 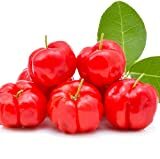 Acerola seeds – it is easy to start by seeds better to start from tree to ensure the fruits, is not hard need moist soil and well-drained soil, burry 2 cm from the top of the seeds, need full sun and start in the early spring.